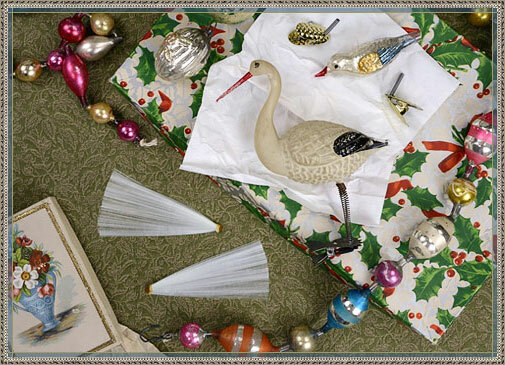 Whether crafting nostalgic holiday ornaments or repairing a blown glass bird that has lost its plumage, our spun glass tails are a unique resource for collectors, crafters and artisans. Made in Germany in the traditional fashion by a master craftsman, they are just the same as the spun glass that was used to decorate antique Christmas ornaments. 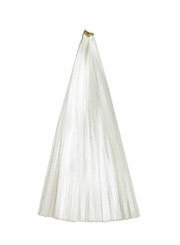 These traditional spun glass tails are old store stock supplies that date to the 1990's. 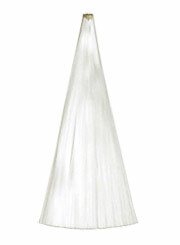 Still in mint, never-used condition, we offer two size lengths of these difficult-to-find, silky white spun glass tails. 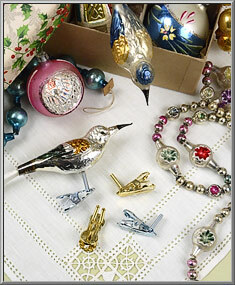 We also have bird leg clips! Spun Glass Tail ~ 4"
1 piece. Made in Germany. Spun Glass Tail ~ 4-1/2"